We believe the visual arts enrich everyone’s life. We are a gathering place for anyone who believes in the creative process, whether you gain inspiration by enjoying the creative expression of artists we represent . . . or exploring your own creative path through art classes we offer. We are a Studio . . . offering you the opportunity to Plan Your Own Art Class or Art Party for children, families and adults that fits your schedule and interest. In addition we also have regularly scheduled Thursday Night Art Classes and Saturday Afternoon Children’s Art Classes. Our goal is for everyone to have a positive experience and Find Joy in the Journey! We are a Gallery . . . featuring original artwork for sale by David Smith, owner/resident artist, and represent over 20 extraordinary 2-D and 3-D regional gallery artists located throughout Illinois, Iowa and Wisconsin. We continually are on the lookout for current, innovative artists, who may not normally show in the area, to invite into our gallery for two month solo exhibition in our upper gallery. Smith Studio and Gallery from April 12th to May 12th. The public is invited to a gallery reception, Wednesday, May 1 from 5:00 – 7:00 p.m.
All art supplied are included in the cost. Have Fun Creating a Memory with Friends and Family. 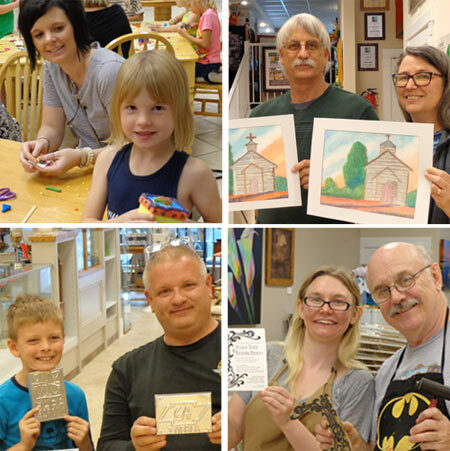 Smith Studio and Gallery partners with the Geneseo Park District to bring you quality art classes for children. In March we offer Spring Break Art Camp. You must be over 21 to attend. Usually 1st and 3rd Thur. of the month. Have fun being creative, while socially interacting with others around you. We supply snacks to make the evening more enjoyable. All art supplied and refreshments are included in the cost. Please checkout the art medium we will be featuring. Choose the art medium and venue you wish to explore. 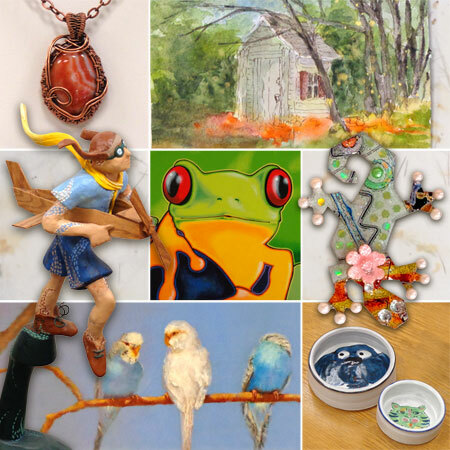 Expand your knowledge and skill level in a wide variety of art mediums. Please check our OPEN STUDIO schedule for specific dates. Have fun exploring your own creative side . . . while being surrounded by original artwork by David Smith and the artist we represent. When you are downtown bring your children in for a short impromptu art outing. We always have drawing paper, marker and crayons out for anyone who wants to have fun drawing, or you can relax in our upper gallery . . . enjoy the artwork on the walls, peruse through our books or play a game. During business hours Smith Studio and Gallery invites non-profit organizations to use our upper gallery area for meetings at no charge. Why do people choose to acquire original artwork and items created by an artist or craftsmen . . . or learn to create their own artwork? Because it Brings Them Joy!